Television journalist, Andrew Lwanga broke down in tears as he testified against Joram Mwesigye the former Division Police Commander of Old Kampala Police Station, who he accuses of brutally assaulting him while covering a procession by a group of unemployed youths in the Ugandan capital of Kampala. 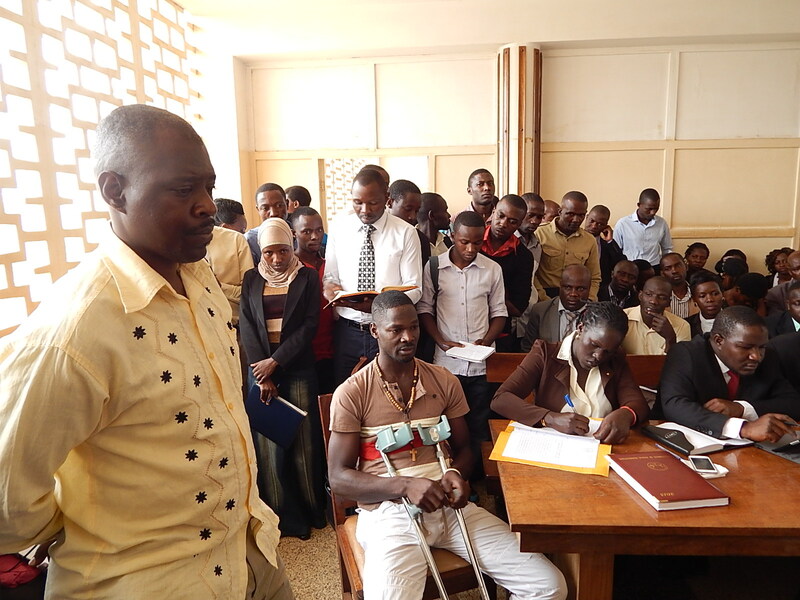 Lwanga, who is currently walking on clutches told the court, presided over by Grade One Magistrate, Sanyu Mukasa, that on 12th January 2015, while using a big stick, Mwesigye hit him three times on the left hand, chest and left side of his head, which made him dizzy and collapse on the ground. His camera was also destroyed. “He first hit me on the palm of the left hand, I tried to hold on to the stick in self defense, but I failed. He hit me the second time and I fronted my camera; the stick smashed the camera and got me on the chest as well. On the third time, he hit me on the head near the left ear. It is then that I collapsed on the ground, I was dizzy. I spent some time on the ground….” Lwanga told a fully packed court. Lwanga further testified that he was dragged into a private white saloon car and driven to Old Kampala Police Station, from where he was ordered to remove his belt and shoes to enter the cells, but was rescued by the former Kampala South Metropolitan Police Commander, James Ruhweza, who used a police patrol car and rushed him to Mulago National Referral Hospital where he was admitted in critical condition. He was thereafter transferred to St. Francis Hospital in Nsambya after he became weak and unconscious a few hours after having been discharged from Mulago. He is likely to undergo surgery on the back bone owing to a dislocation of the spinal cord. The court dismissed an application by Mwesigye through his lawyer Gorge Spencer against allowing other journalists from testifying against him in this case. The matter was adjourned to 30th March 2015 for further hearing. 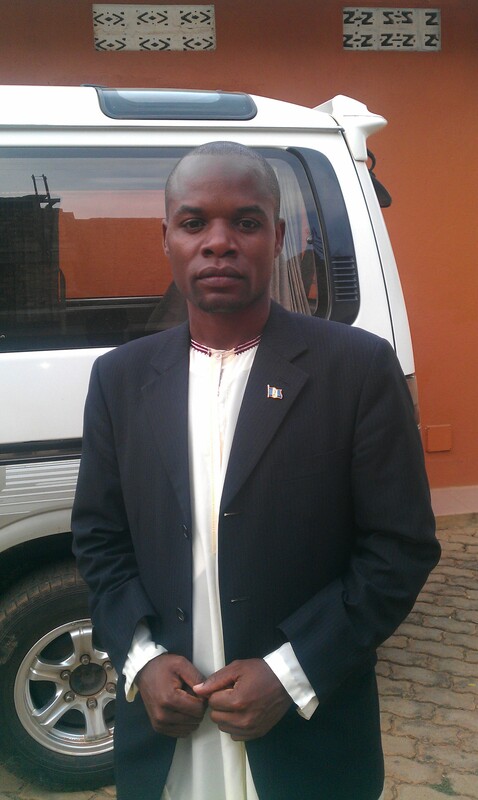 Robert Ssewankambo is a Ugandan writer. Working currently on a freelance basis, he is a regular contributor to major newspapers in Uganda and electronic online magazines and media sources in Africa, such as the Bukedde newspaper, Hindered radio, Red Pepper, Eddobozzi newspaper and African Interest online.